460 Bryant and its shorter neighbor, 462 Bryant, share a common brick wall. Both buildings were completely renovated in 2014 and currently occupied by a technology user. The Central SoMa Plan will re-zone this site, increasing the height limit from 50 feet to 85 feet. 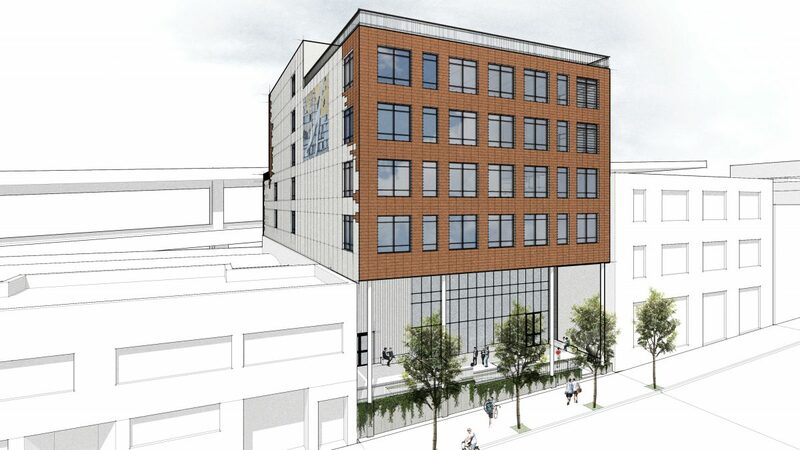 462 Bryant will be replaced by a new building, but remain connected to 460 Bryant, expanding the envelope of the site. 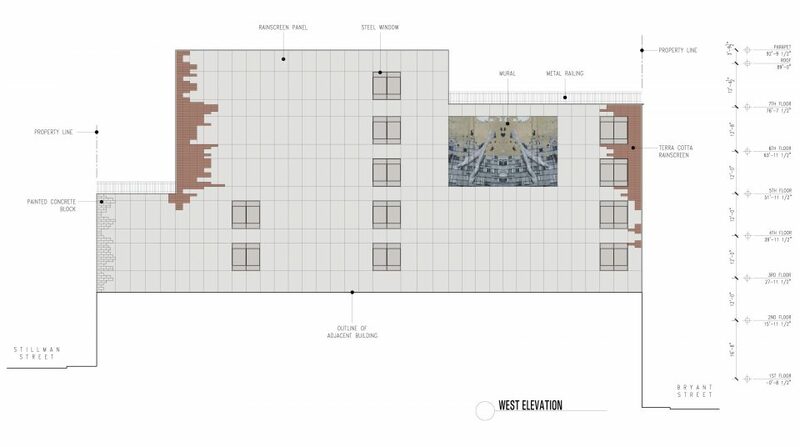 A terra cotta rain screen is proposed for the principal facades, which erodes around its corners giving way to more economical materials on the property line elevation. 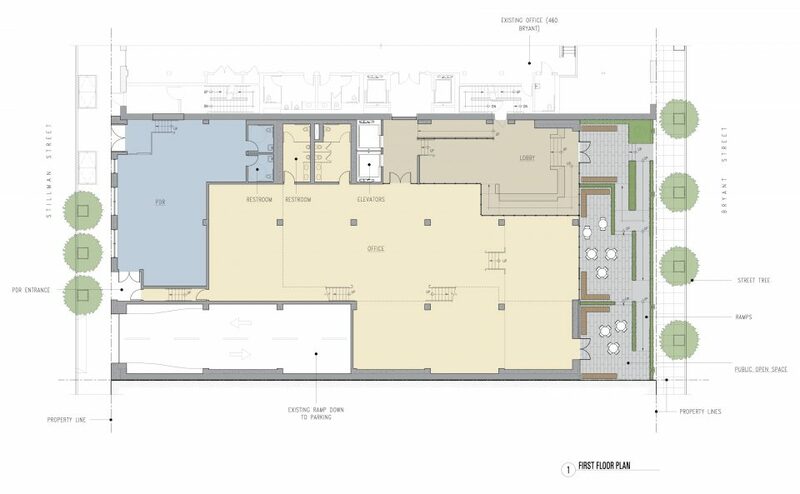 A large “front porch” with ramps and stairs will connect the street level to the existing first floor and will provide open space plus natural light for the building’s tenants.